I’ve been really stressed out lately between an interesting living situation, life in general, and trying to update this website (which is awesome but taxing). So I decided to watch some of my favorite Christmas movies to make me feel better. Naturally, I turned to two of my most favorite R.E.M./Christmas clips ever. Enjoy! 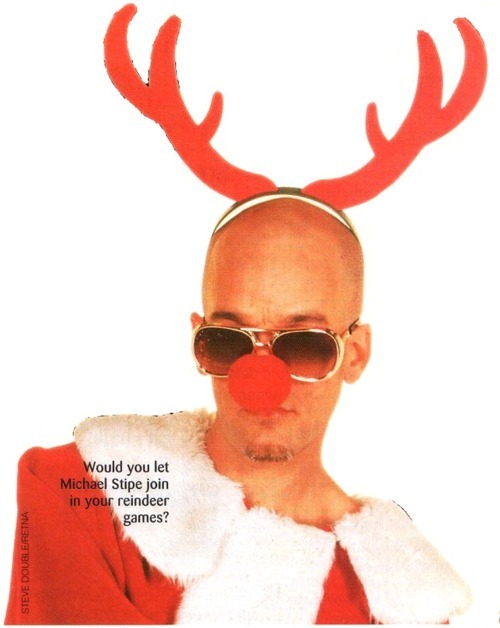 Michael Stipe as Blitzen’s cousin, a flightless reindeer. Skip to 3:22 if you, like I, can’t really stand Chris Kattan but want to see Michael Stipe in a skintight fairy outfit.